This is my favorite book in this series. Andrew Grey is one of my must read authors. I have never been disappointed by anything he has written. 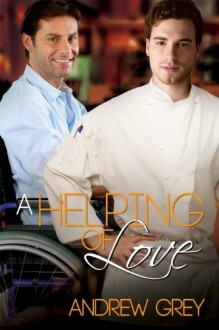 3.5*Sweet love story.Peter is in a wheelchair following an accident 3 yrs ago and Russ has been in an abusive relationship for 4 years.It's a bit idealistic but that's ok, they oth have issues and baggage but they are what the other needs. This is definitly a trademark Andrew Grey style book.